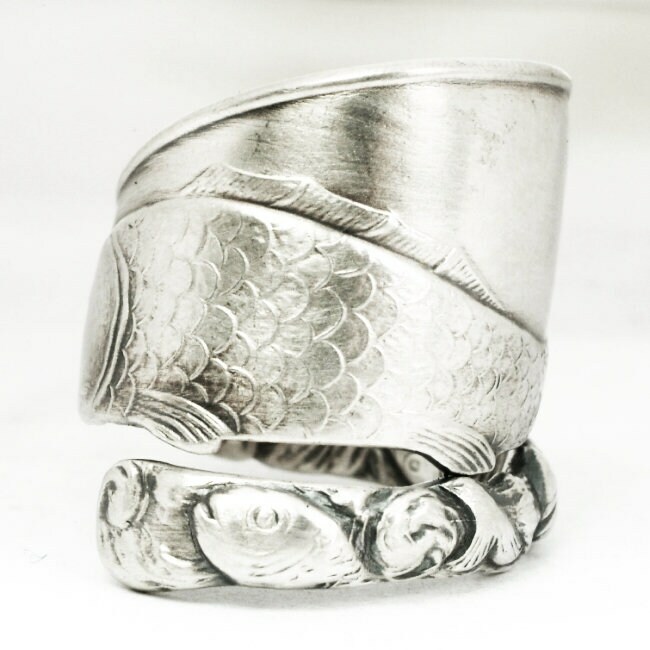 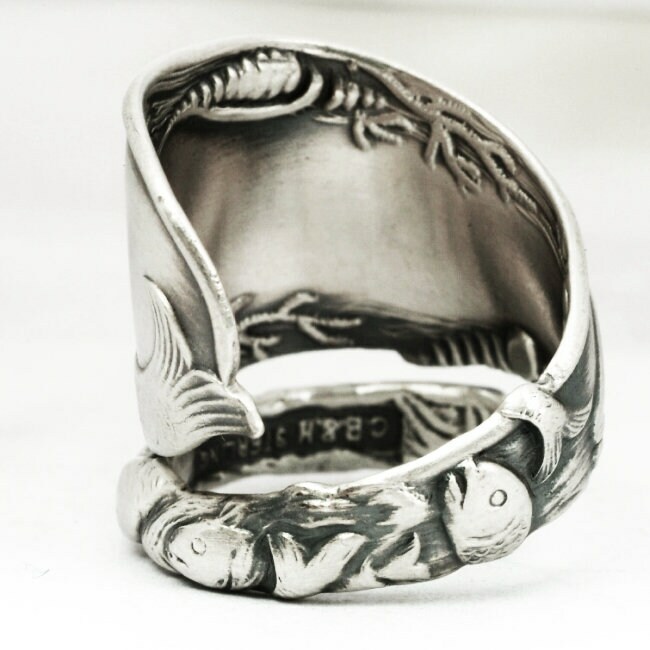 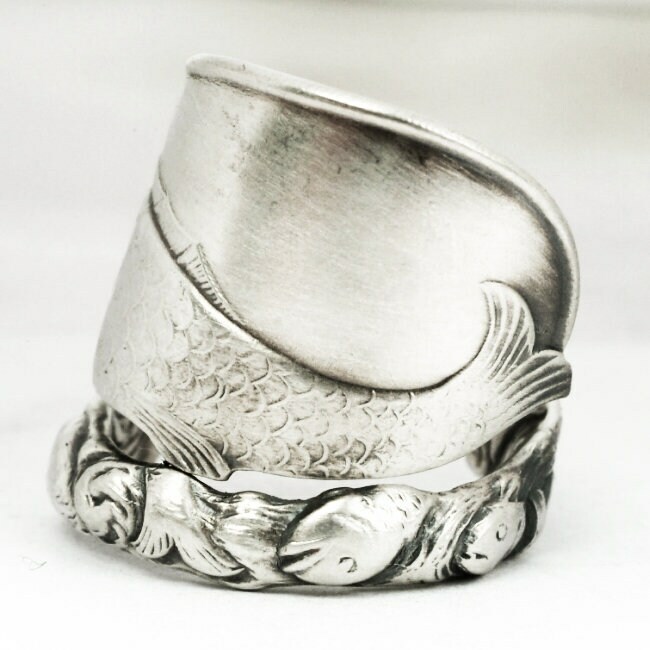 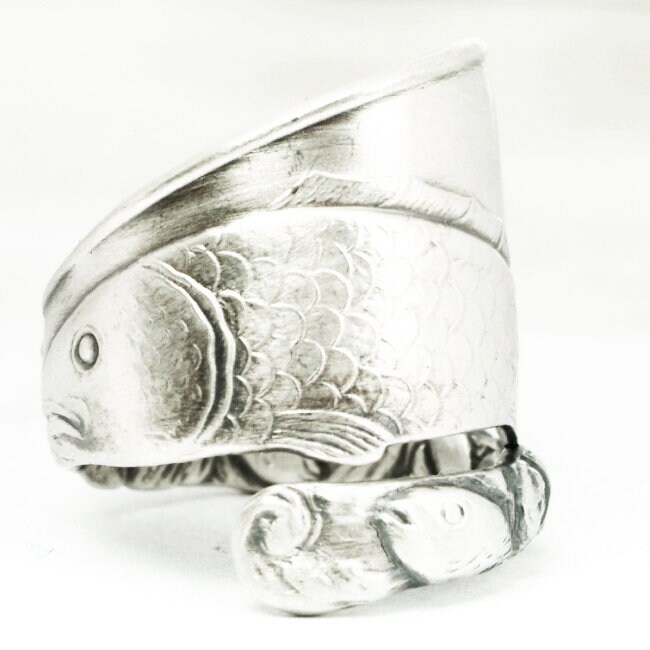 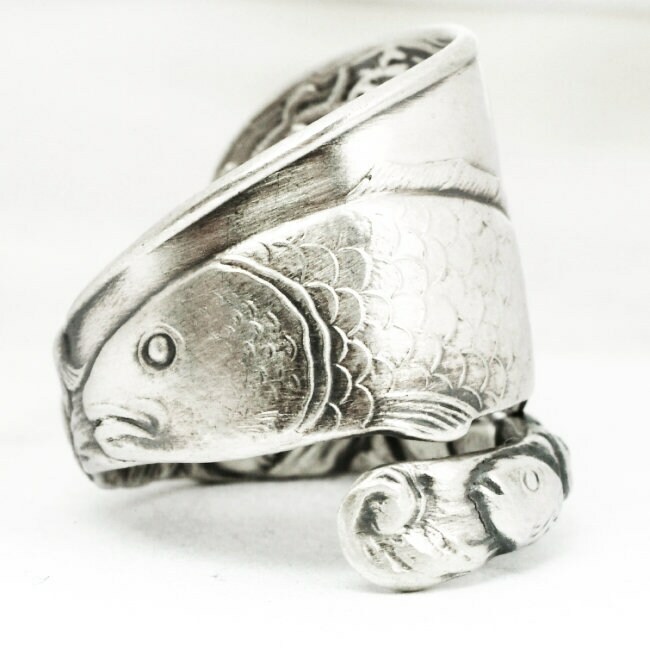 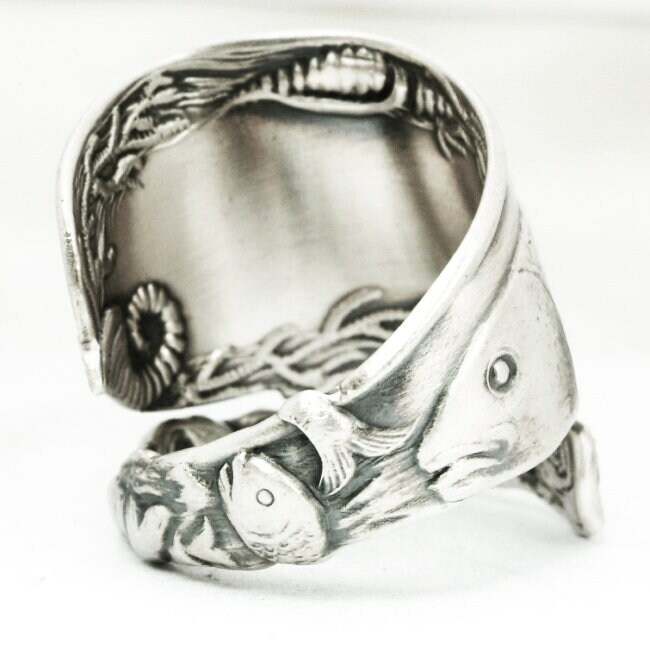 Antique Sterling silver fish spoon ring with an adjustable ring size! 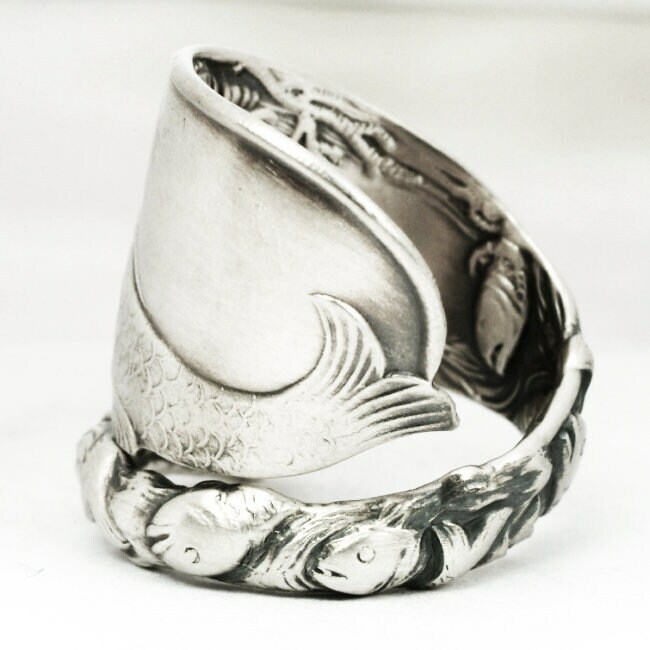 This design depicts a unique stylized fish with high relief detail followed by a bunch of little fishies. 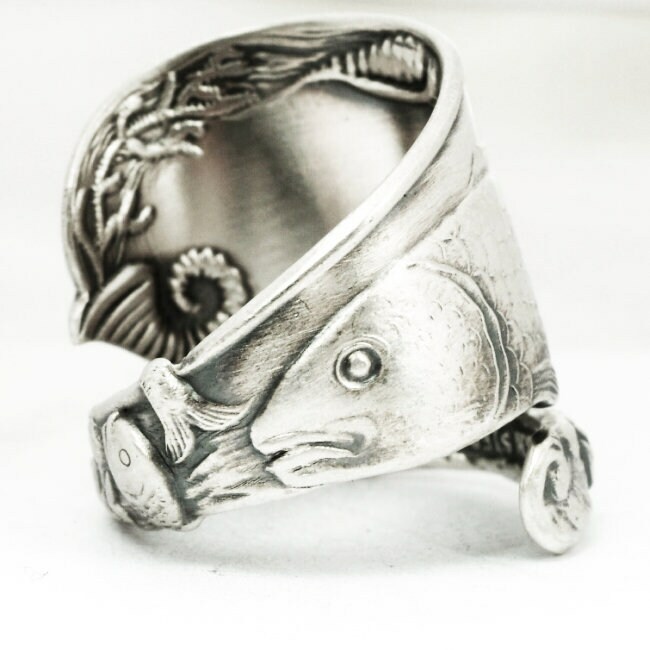 A very fun piece to wear! 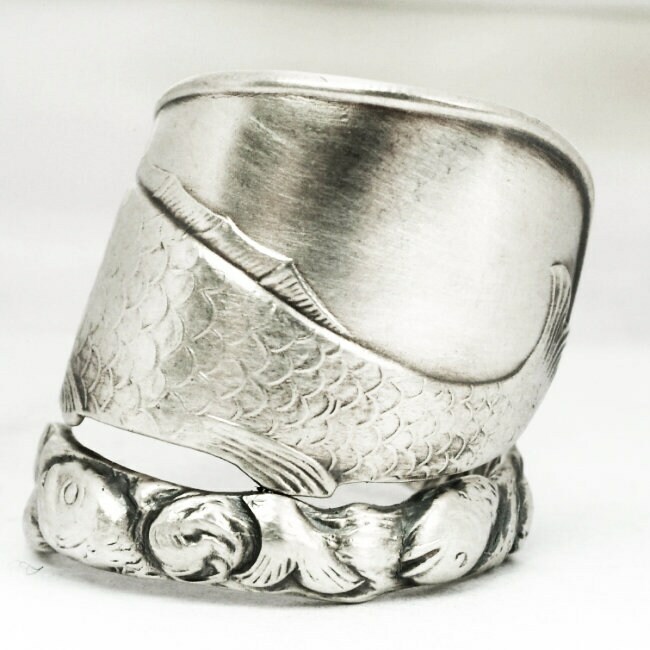 This spoon spoon was made by Codding Bros & Heirloom ca 1910.